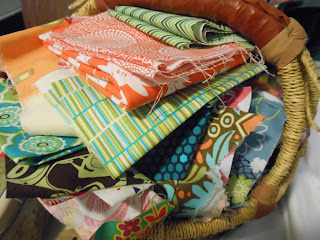 A basket of scraps, a FINISHED Tweet Tweet Twist quilt and a couple of curtains is about all that I have to show for my week. 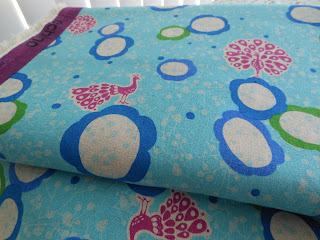 The disassembling of my sewing room has but a damper on progress (blogged here). Thank goodness for our MQG Sew Day this Friday so that I can complete my March bee blocks and not be tardy. I can't share my After Sewing Summit swap quite yet because it's a secret and it's not quite done! I managed to sew up some curtains, two sets. Unfortunately I only took pictures of this one. The fabric was kind of slick and really unique. 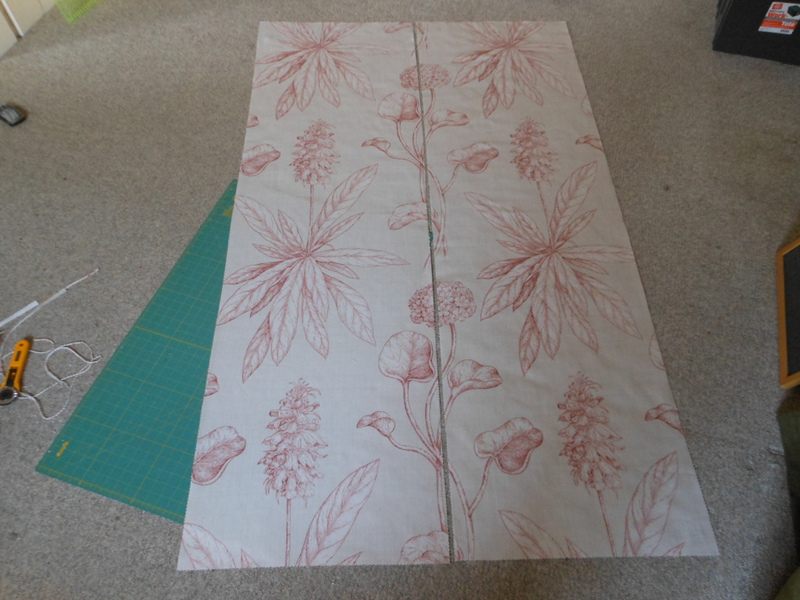 Backing it with a heavier weight cotton took a lot of care and I spent a great deal of time making sure to line up the super sized floral print at the split. I also used the pinking blade in my rotary which doesn't happen too often. 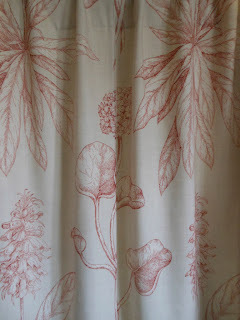 I wanted them to be full enough to have a nice drape but not distort those great images. This Wednesday not only means a WIP linky at Freshly Pieced but that I also get announce the winner of the yard of Echino as my first giveaway in celebration of my one year Blogiversary. 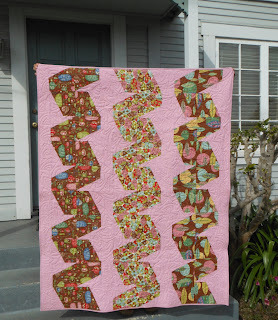 Thank you to all who entered and commented on why you started blogging or why you quilt. barbara woods March 16, 2013 at 3:49 PMto keep me quilting, you need some thing to keep nose to the grindstone . 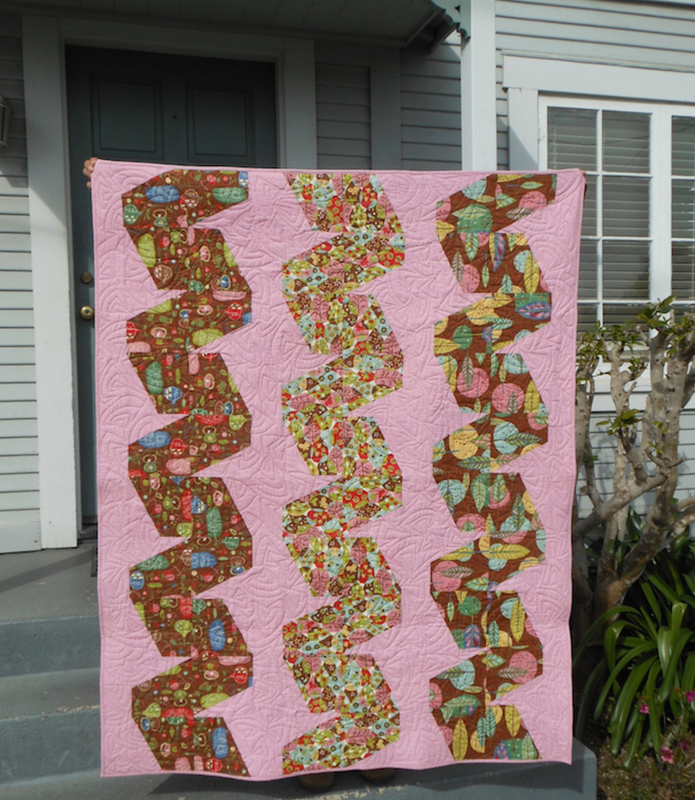 if you blog about quilting then you have to quilt , right? With 3 complete, I'm linking to Finish it Up Friday at Crazy Mom Quilts. I love a good sew day so hopefully you will get lots done! You got tons done! Love the basket of scraps! Congrats on your one year in the blog world. I just entered a month ago and am enjoying it so much. I love the curtain fabric and can imagine the tediousness of trying to back slippery fabric. Great Finishes! 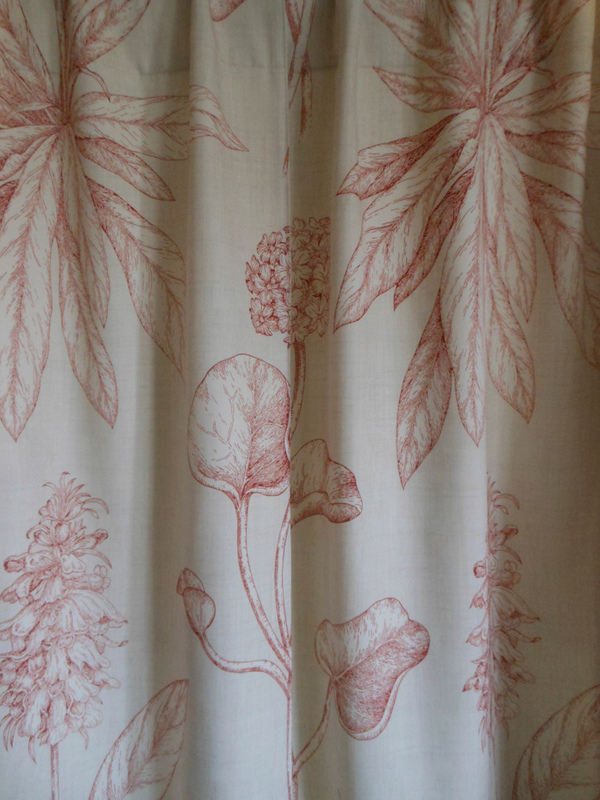 I love that you took the time to match up the prints on the curtains. Love the fabric, too. Twisted Tweet is a very unusual design! Let me know that you stopped by - leave a comment and make my day! A Wedding on the Way! GOOD HAIR DAY BLOG HOP TOUR STARTS HERE!